End of life care has received a lot of bad press in recent years, including alarming stories about the Liverpool Care Pathway, with worried relatives suggesting that patients were being put on ‘death lists’ and that the pathway was being used to cut costs. Despite the concerns raised about end of life care nationally, there is evidence of good practice. The Care Quality Commission (CQC), in its 2016 report A Different Ending – Addressing Inequalities in End of Life Care, found examples of care that demonstrate what can be done when care is ‘personalised and responsive to people’s individual needs’. Overall, however, end of life care remains fragmented, inconsistent and variable in quality across the NHS. Three years ago, I was seconded to one of two nursing fellowship posts at the Trust Development Authority, which later became part of NHS Improvement (NHSI). The nurse fellowship secondment provides a development opportunity for individuals aspiring to become executive directors of nursing. As part of the fellowship role, I was allocated a national improvement project on end of life care. My task was to set up a national work programme to support a group of NHS trusts judged as ‘requiring improvement’ or ‘inadequate’ for end of life care following inspections. At that time the Trust Development Authority had noted that an increasing number of NHS trusts were being judged as ‘requires improvement’ or ‘inadequate’ for end of life care. Recognising this as an important priority, the authority highlighted work already in place to support acute trusts, including the Route to Success in End of Life Care, also known as the Transform Programme, published by NHS England. The aim of this programme is to improve the quality of care and to engage ward staff and clinical teams in making continuous improvements. It involves patients and carers, develops staff skills and competencies, and ensures that change is underpinned by measurement and evaluation. The approach used should be based on improvement strategies shown to enable sustainable cultural change. The end of life care plan should be individualised to fit local quality improvement plans. Trusts should be supported to influence commissioning decisions so improvements can be achieved along the whole pathway. The support programme should enable trusts to undertake peer review with ‘good’ trusts and share best practice. Work streams should be driven and led by the trust board. After site visits by the Trust Development Authority to discuss local end of life care improvement plans, the key challenges faced by the trusts in delivering individualised end of life care became the focus of an improvement programme. 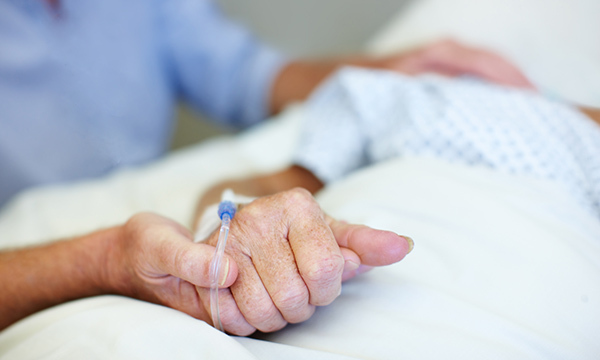 Lack of strategic leadership for end of life care was cited as a key theme by the CQC in trusts rated inadequate or requiring improvement. All the trusts I visited had, since their CQC rating, appointed a board lead for end of life care. 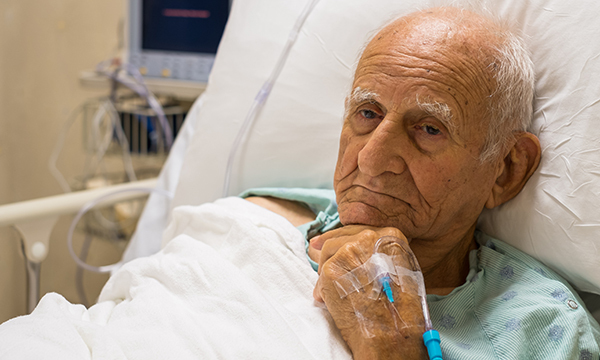 Trusts had also started to draft end of life care strategies, but the tight timescales raised questions about the strength and depth of staff and stakeholder consultation. This resulted in strategies being largely internally focused. Almost all the specialist palliative care teams I met with said the CQC visit had raised their profile and that of end of life care across the organisation. This was largely welcomed but teams reported feeling overwhelmed because of these additional pressures. Many were now leading on end of life care improvement across the whole organisation, but few trusts could identify specific training provided to staff to help them lead the required improvements effectively. The need to address end of life care issues through cultural change programmes and improvement methods had been identified at an earlier workshop as an area that trusts acknowledged. In addition, the specialist palliative care teams often questioned what ‘good’ looks like in the context of acute care. It quickly became apparent that organisations understood and could describe the key markers of good care but struggled to put it into practice. All the organisations I visited were exploring a minimum data set to measure end of life care services. This is a complex issue. Since the CQC visits, some of the trusts had begun using mortality reviews, complaints and incidents as a way of identifying themes for improvement in end of life care, but this work was in the early stages. When it came to the number of staff who had received end of life care training, much of the data collated was ‘process driven’, providing insights into how many rather than the outcome and impact. The lack of patient experience measurement was evident at every trust. Access to 24-hour, seven-day specialist palliative care team services is deemed essential to the delivery of good quality end of life care. Trusts reported providing predominately face-to-face services within office hours, supplemented by telephone services at other times. Trusts also found that the time it took to discharge patients varied considerably. Towards the end of my secondment I planned two national best practice workshops in London and Birmingham at which all the trusts rated ‘inadequate’ or ‘requires improvement’ could hear about initiatives in other organisations, including those rated good or outstanding. The workshops ended with an outline proposal for an end of life care improvement collaborative, which was launched by NHSI in May 2017. NHSI has used this approach previously in other areas, such as falls and infection control. Sixteen NHS organisations have now completed the end of life care improvement programme. Participating organisations have since presented their achievements, including individualised care planning, education and training, and treatment escalation plans. The collaborative’s website includes resources such as videos and posters detailing what teams learnt from the process. Challenges remain in identifying people who are in the last 12 months of their lives. Staff find conversations around end of life care difficult, so patients and their loved ones are unable to make informed choices. Care is uncoordinated and lacks close partnership working with the wider health and care system. The individual needs of patients are not fully understood and therefore care is not always personalised. It was a privilege visiting all the trusts during my fellowship. Teams were welcoming and open to sharing, and learning about, best practice. Staff described feeling disappointed at their service being rated ‘inadequate’ or ‘requires improvement’ by the CQC but understood why and were motivated to improve. Eight of the trusts I worked with as part of the fellowship went on to participate in the NHSI improvement collaborative, and I was inspired by the initiatives they introduced. One of the most rewarding elements of the fellowship was engaging multidisciplinary teams to improve care through sharing best practice. Since returning to my post I have passed on the learning I gained in terms of end of life care and other areas for improvement. As a senior nurse I have gained greater understanding and have enhanced my skills in working and influencing policy at a national level, partnership working and taking a more strategic approach to service improvement. Leading a national project on end of life care has been fulfilling in many ways. For me, this is the core of nursing and what it means to be a compassionate leader.